Ford is once again showing off its technological prowess, this time by building the next-generation Escape with a next-generation approach to manufacturing—and a team of more than 700 robots. 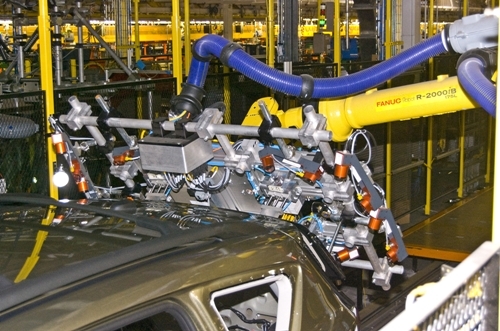 These “workers” at Ford’s Louisville (Kentucky) Assembly Plant are vital to making sure the new Escape meets customer demands for high quality, particular in terms of fit and finish. For example, some of the robots leverage the latest laser-guided, camera-enabled technologies to discover—and fix—even tiny deviations in body-panel gaps on the new Escape. Not only is the result more pleasing to the eye, but it’s more pleasing to the ear, too, since tight gaps help cut down on wind noise. “The ability of the machines to register any difference in each vehicle on the line improves our quality by providing a custom-like build,” said Escape engineer Thomas Burns. The technology also is making a big difference in the paint shop, where 88 new robots apply both paint and sealer to both the interior and the exterior of the new Escape. Now, since Ford doesn’t have to worry about adjusting airflow and climate control for human painters, the automaker can reduce the energy (and emissions) that traditionally go into building a vehicle like the Escape. It’s safer, too, because people don’t have to worry about being in the same room as potentially dangerous chemicals and paints, and they also can avoid repetitive motions that sometimes lead to injuries. 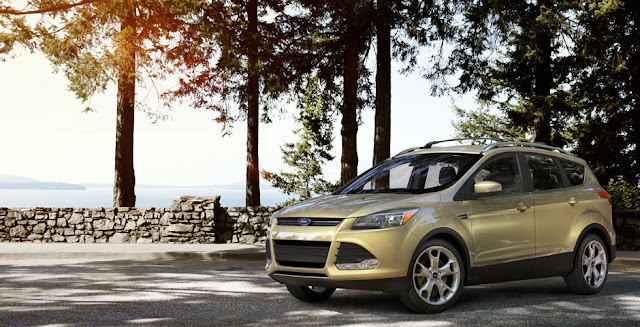 And remember, those robots—and their hard-working human teammates—are already on the job building the 2013 Ford Escape, which is set to reach dealerships this quarter. If you have any questions about the 2013 Ford Escape please feel free to Contact Us. We would be happy to address any of your questions.